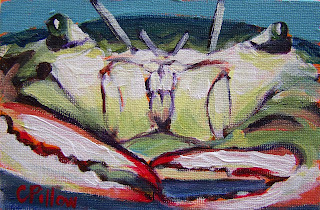 I enjoyed painting these fun little crabs! I finished a series of them last week for the private show this past weekend. I'll post one each day.